The Department of Defence is considering appealing a High Court ruling that could create chaos in its military retention policies. 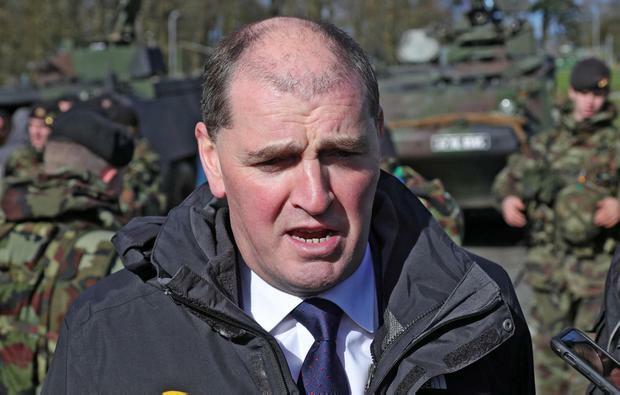 The High Court told Defence Minister Paul Kehoe he did not have the right to demand that new recruits to the Defence Forces had to commit to serving 12 years. Under military regulations, recruits must sign up for an initial period of five years on a fixed contract. After that, they can sign up voluntarily for a further four years and then, a third fixed contract for a further three years, making a total of 12 years. The ruling was made in a challenge by a Pakistani man to the minister's refusal to admit him as an army recruit because he only had permission to stay in Ireland until June 2020. Removing fixed period contracts would create retention problems for the authorities.